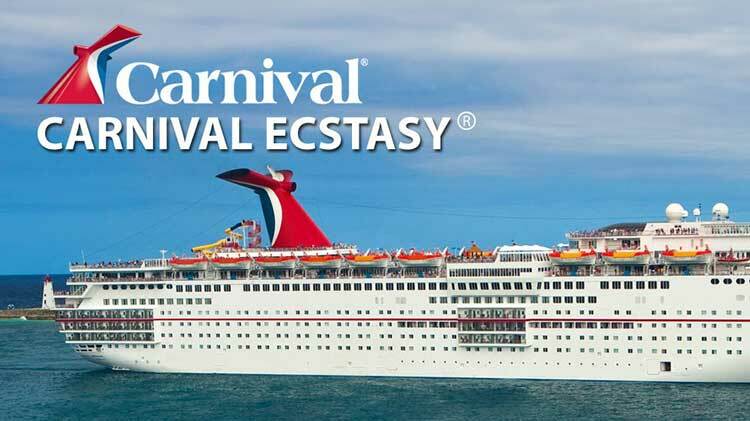 Carnival Cruise Line: Ecstasy! 5 days from Charleston, South Carolina to Princess Cays and Nassau Bahamas. *Prices not guaranteed until paid. Optional: Insurance available upon request. First deposit of $25.00 is due on September 24, 2018. Additional $125.00 due on October 11, 2018. Final payment is due December 12, 2018. All changes or cancellations must be done prior to December 11, 2018. To avoid penalties, payments are expected to be at paid at the Leisure Travel Services Office by due dates. No extensions will be approved. In between payments can be made as long as the required amount is met by each due date. Names must be as they appear on your valid passport or U.S. Birth Certificate.